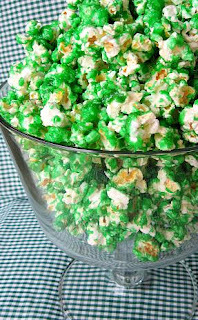 Place popcorn in a large roasting pan; keep warm in a 250° oven. Meanwhile, in a large heavy saucepan, combine the sugars, water, corn syrup, vinegar and salt. Cook and stir over medium heat until mixture comes to a boil. Cook, stirring occasionally, until a candy thermometer reads 260° (hard-ball stage). Remove from the heat; stir in butter until melted. Stir in food coloring. 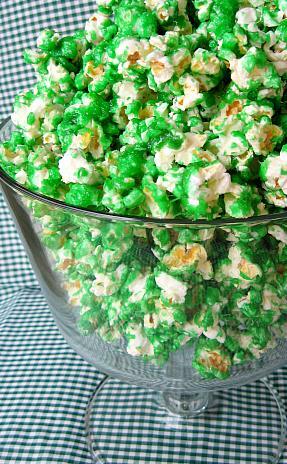 Drizzle over warm popcorn and toss to coat. Cool. Break into pieces. Store in an airtight container. Yield: 6 quarts.